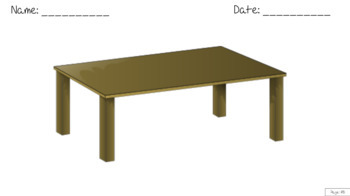 Thank you for your interest in my product! 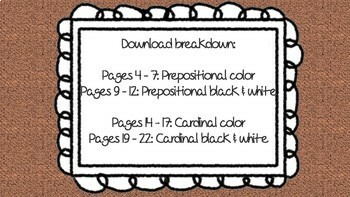 Within this download, you will have access to prepositional and cardinal directions (listed below). This download has 1 prepositional worksheet and 1 cardinal direction worksheet. 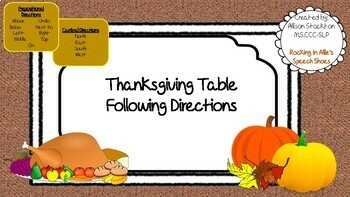 The student must cut and glue the thanksgiving food to the correct spot on the plate by following the directions. You can also print and laminate these worksheets for weeks to come. 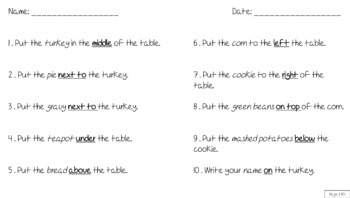 All worksheets come in color and black/white versions.